At Major Player, we believe that group music lessons are the ideal start to your child’s education. Group music lessons lay the foundations of music in a fun and stimulating environment. Join your child in classes that stimulate the mind and the senses, learning about rhythm, reading music, learning keyboard, training the ear (aural development) and building social skills and confidence. 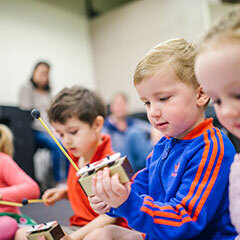 Join your 2 to 4-year-old in our weekly Kinder Beat classes and introduce them to music whilst having fun. It features many activities that children need for brain development and accelerated learning. Classes comprise of singing, movement, dance and gesture, rhythm, beat and metre, percussion playing, story-telling and mime, reading (iconic and traditional notation), keyboard games, musical games, improvisation and ensemble playing. During Kinder Beat lessons, teachers use a variety of musical instruments and props for stimulation and to enrich the learning experience. Small groups of up to 8 are lead through the exciting structured program supported by a book, CD and relevant mascot. 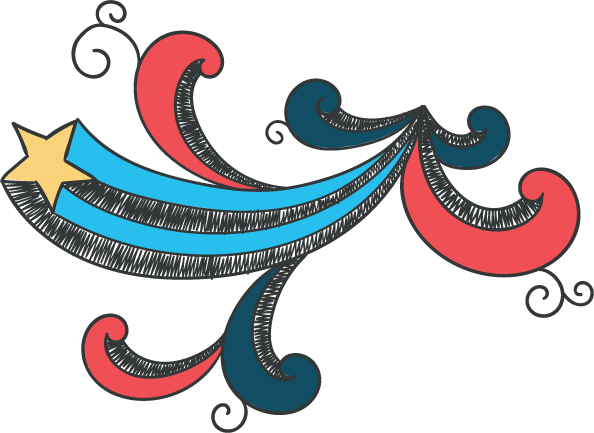 This early childhood program is contemporary and vibrant and lays a musical foundation. 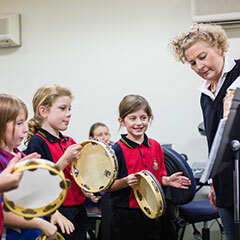 Kinder Beat is ideal as a pre-instrumental introduction to Music Education. A parent or guardian joins in the fun of this program with their child. In Junior Music, your 4- to 7-year-old will meet their instrument right from the start! 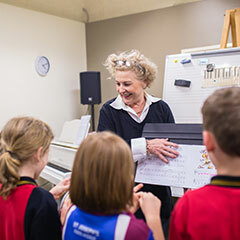 An ideal introduction to music through the keyboard or piano for new learners aged between 4 and 7, Junior Music is an integrated teaching sequence designed to provide a thorough and balanced approach to music education. 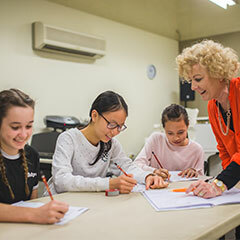 Weekly 45 to 60 minute group lessons develop singing for musical enjoyment, expression and movement activities, rhythm, aural (ear) skills, ensemble work, and music reading and playing skills in a fun environment. We know that at this young age attention spans can be short so we plan activities to vary rapidly so that interest and learning is maintained throughout the lessons. Students’ learning is supported with a programmed series of four books, CDs and flashcards over 2 years. We strongly encourage weekly attendance of a parent or guardian who can assist with the reinforcement of learning on their keyboard or piano at home. This program is an appropriate pathway to later and more advanced piano playing or all other musical instruments. Many students continue piano studies even when moving to an alternative primary instrument. Reading, writing and playing of music established on keyboards. Ensemble playing developed through group tuition. Aural skills developed with recognition of pitch developed. 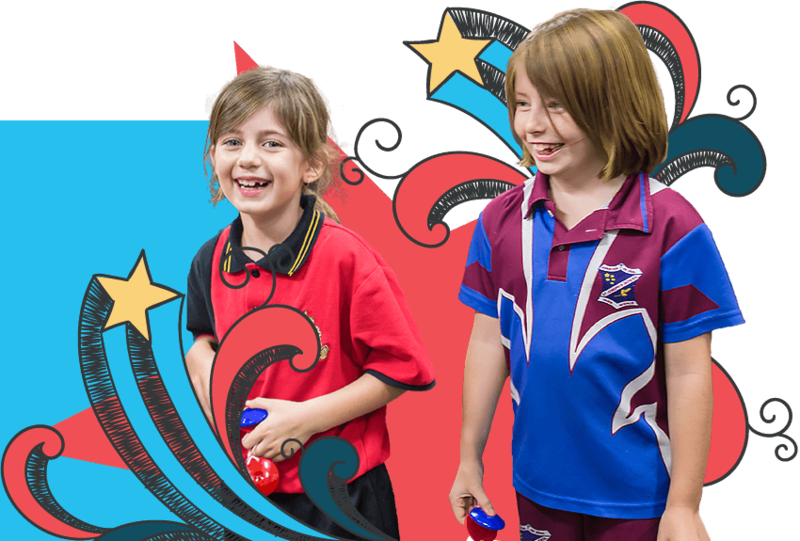 Social skills and personal confidence enhanced. Music Theory understood through practical completion of supporting material. Primary Music’s comprehensive piano/keyboard course is lots of fun for new learners aged 8 and above. It incorporates a broad range of styles such as rock, jazz, baroque, classical and many more. Weekly 45 to 60 minute group lessons develop singing, rhythm taps to assist in the development of two-handed rhythm reading and playing, finger taps to establish finger numbers and patterning, aural (ear) skills, ensemble work, music reading and playing skills in a fun environment. Students’ learning is supported with a programmed series of books, CDs and flashcards. Each piece in the program features a particular teaching point such as introducing a new note, a new skill or perhaps reinforcing previous elements within a new context. Parents or guardians are able to attend if they wish and doing so may benefit the reinforcement of the learning at home. This program is an appropriate pathway to later and more advanced piano playing or any other musical instrument. Many students continue piano studies even when moving to an alternative primary instrument. Music Theory classes are provided in groups graded to enter AMEB exams levels one to six. Our student results in Theory are outstanding and a cornerstone of their musical development. The delivery in groups is both economical for families and effective in outcomes through the dynamics of students of similar competencies working together. Weekly classes are held throughout the year with students sitting the AMEB external exams in August of each year. AMEB Music Theory qualifications achieved. Foundational music skills developed and understood. Ability to play in groups and bands enhanced.